Size: NormalLong Color: BlackRedGreyBlue This item is currently out of stock! The CiloGear 30L Commuter Bag answers our needs for a bag that takes us to work during Portland, Oregon's wet winters. One side has a water resistant zipper to access a laptop sleeve that accepts up to 17" laptops. 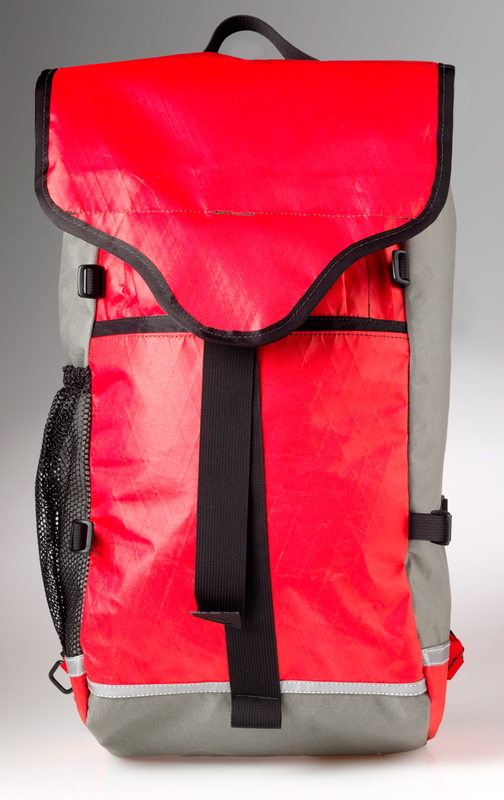 The other side has a strong mesh pocket for a water bottle or climbing shoes. Available with or without exterior logos, the CiloGear Commuter Bag delivers alpine inspired simplicity to our daily life in the city. True to its alpine heritage, the 30L Commuter Bag features removable straps and allows you to stash the shoulder straps to make a trim, clean bag for the airport or subway. The same USA made reflective material found on the sides of the CiloGear WorkSacks provides superior coverage when walking or cycling at night. We craft the City Bag from bomber water proof materials and use special water resistant thread. The bag isn't totally waterproof -- hey, there's a giant hole in the top -- but it's pretty good.